User accounts synchronization with your Active Directory or OpenLDAP. Landpark Active Directory / OpenLDAP makes it possible to import, view, filter and publish changes that have occurred since the previous synchronization with Active Directory or OpenLDAP. 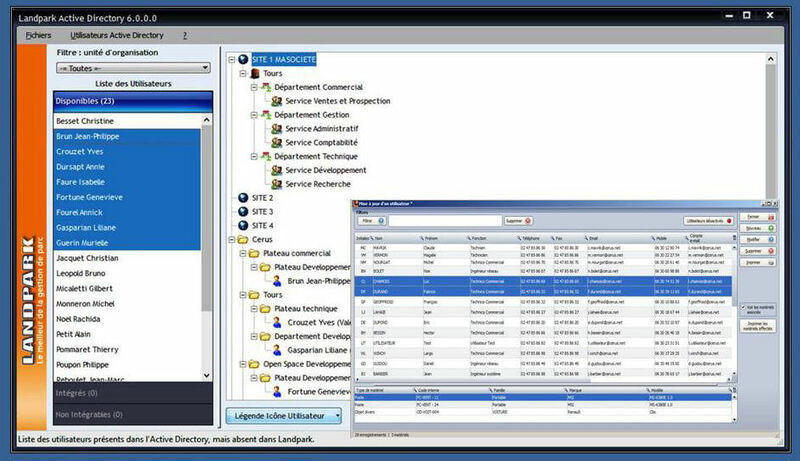 Landpark Active Directory enables you to automatically and seamlessly integrate your user data into Landpark Manager. Filter by change: view and add any newly-created users or remove any users that are no longer in your Active Directory. Filter by user: this option makes it possible to filter your list by user and publish all user changes. Filter by period: filter your list by date interval or select a preset period. Possibility of setting up 3 different connection profiles. Exportable to Excel, Word, XML.